BHC are currently onsite with main contractor Barratt London at the ambitious re-development of the Hounslow High Street Quarter. The development will create a major, new urban space within Hounslow and comprises of 528 new homes – with at least 40% being affordable homes, a multiplex cinema and several new shops and restaurants forming Hounslow’s new vibrant town centre. 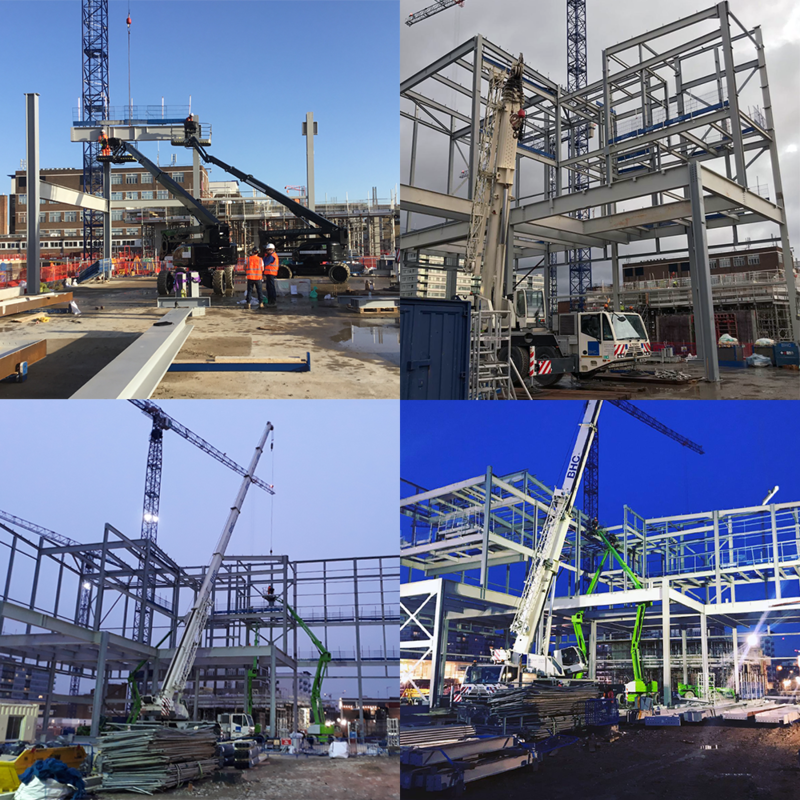 BHC are involved in the supply, fabrication and erection of over 1,300 tonnes of structural steelwork and over 5,000m2 of metal decking which will form a 10 screen Cineworld Cinema and several commercial units. The cinema and commercial units are set to open early 2020.